Our oval business card holder in now available in classic deep green marble. These classic stone desk accessories beautifully accent any decor. 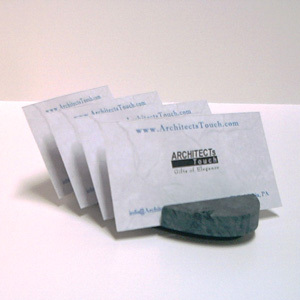 Our exclusive 4 slot design comfortably displays 60 business cards (15 per slot). Each slot turns slightly, allowing the cards to fan out in an elegant display.